In this paragraph, a third-grade student describes his grandfather's face. I like to draw faces but expecially my grandpa's face. He has lots of rinkles. That's because he's old and also because he laughs a lot and smiles all the times. He has a big round nose and little eyes and by focal glasses. He has a gray beard but it use to be red. They called him "Redbeard." He has little ears and not much hair. He has denchers. That's about all I know about grandpa's face. Grandpa's Face by Thoughtful Learning is licensed under a Creative Commons Attribution-NonCommercial-ShareAlike 4.0 International License. 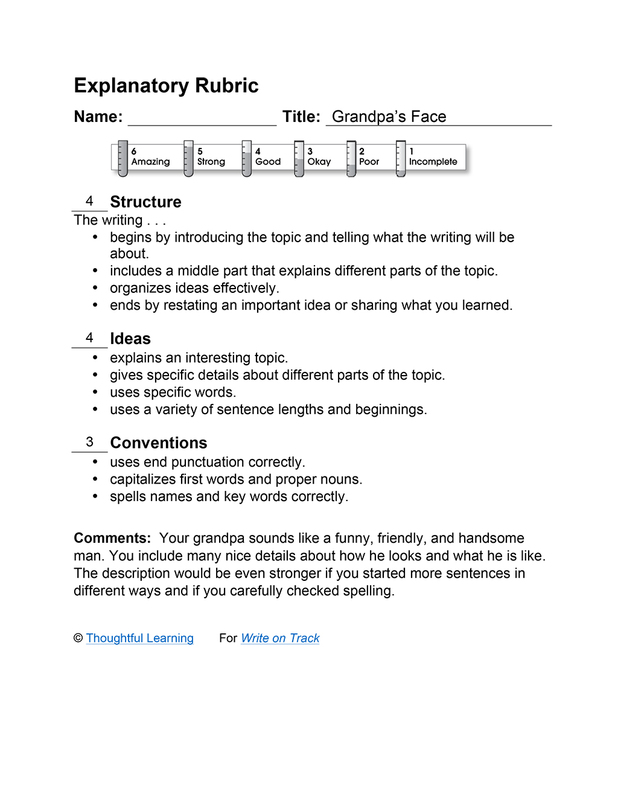 Based on a work at k12.thoughtfullearning.com/assessmentmodels/grandpas-face.